This week Joanne has challenged us to Think Flowers for the Speedy the Cat's Friends challenge. I made a card using a stamp from Mark Finest Papers stamp "Apples and Camelias" and using a sketch from Card Patterns Sketch. Colored with Copics. Papers are Basic Grey Cappella and others from scraps. Sentiment is a sticker from Cloud 9 Designs. 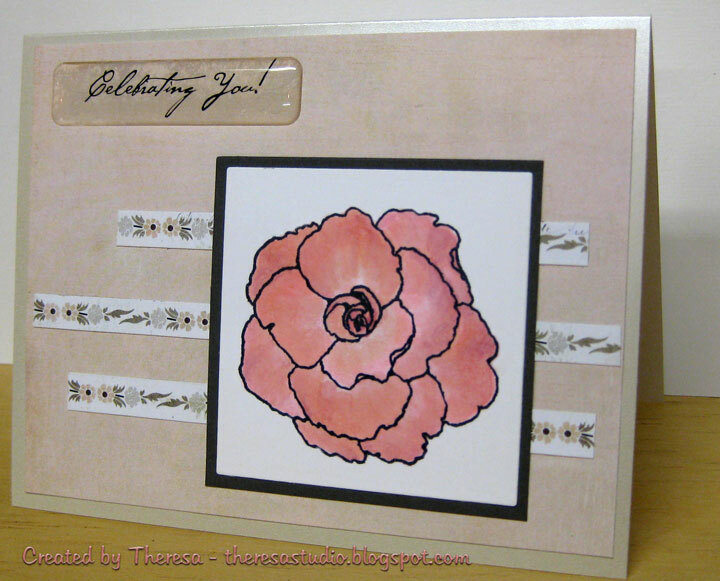 Theresa, your card is just lovely!!!!!!!!! Theresa - Fabulous! Thanks for playing with Speedy's Friends! what a great layout!! Thanks for joining our flower filled speedy's friends challenge this week! Wonderful design with this gorgeous blossom!! 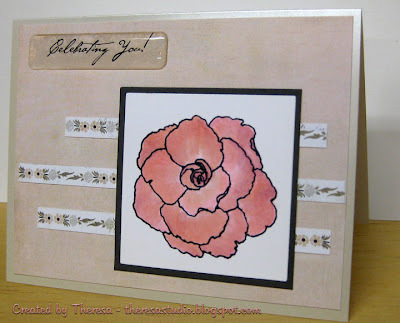 Thank you for sharing your pretty card in the Friends of Speedy the Cat's flower challenge!! Super,super pretty! Love your flower!